Rachel and I have some exciting news! Our publisher Zondervan is generously offering a fabulous “two-fer” deal. If you somehow missed out on our first book We Laugh, We Cry, We Cook–the inspiration for this blog–or have been wanting to share a copy with a friend, you can get both We Laugh, We Cry, We Cook and our new book Nourished right now for the price of one! Simply pre-order the Nourished book or ebook from any major retailer and get a free ebook of We Laugh, We Cry, We Cook via BookShout. All of the details and purchase links to all major retailers can be found here on Zondervan’s website. Once you order Nourished, simply follow the steps on the BookShout FAQ page to get your free ebook. 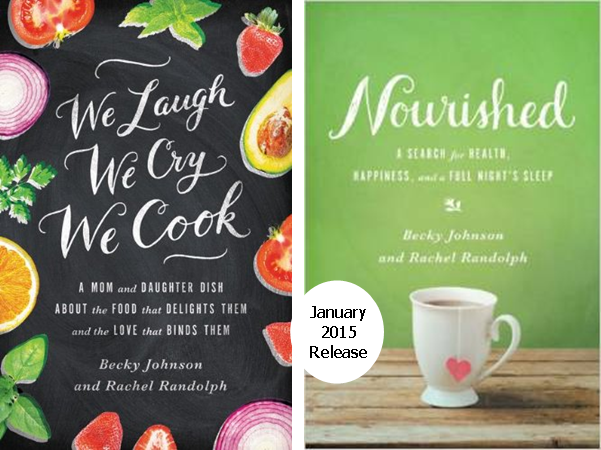 Your copy of Nourished will ship (or show up on your ereader) on January 6. Word of mouth is and always will be the best form of marketing, so we would be so grateful if you would share this offer with your friends. While we’re on the subject, if you’ve read We Laugh, We Cry, We Cook and haven’t already posted a review on Amazon, BN.com, or Goodreads, now would be a great time to add a review too! With humor, honesty and faith Becky Johnson and her daughter Rachel Randolph determine to tackle the stuff that is stressing them out, once and for all. From interviews with friends and lots of research they came up with The Ten Most Common Stressors That Mess with a Woman’s Mind: daily challenges that routinely steal her sense of peace and joy. 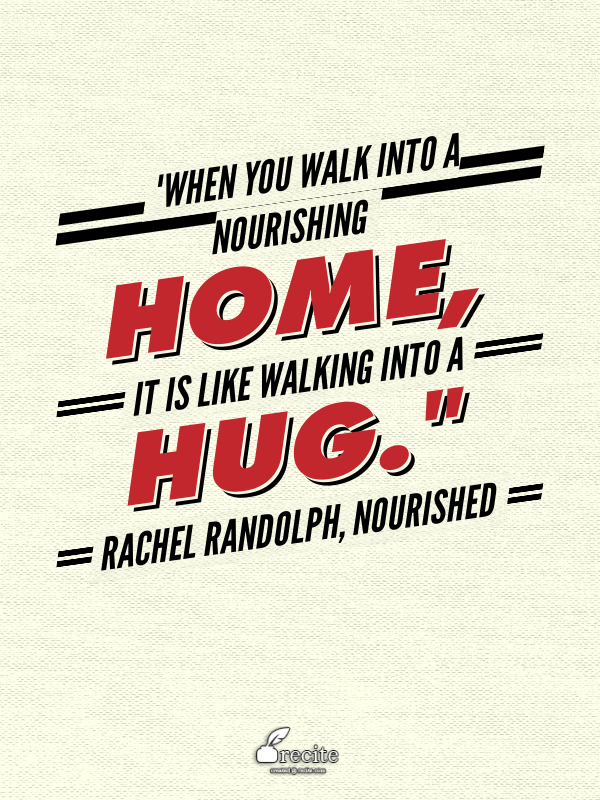 Together Becky and Rachel cook up a plan to live a less depleted and more nourished life. Opposites in many ways mom and daughter share their successes and failures as they make peace with their imperfect bodies, create living spaces they love, get wiser in their relationships, tame jam-packed schedules, settle into God’s love, and more. In short, they stumble and journey together toward a life that better nourishes them – body, mind, soul and spirit. Published by Zondervan, January 2015. Published by Zondervan, August 2013. 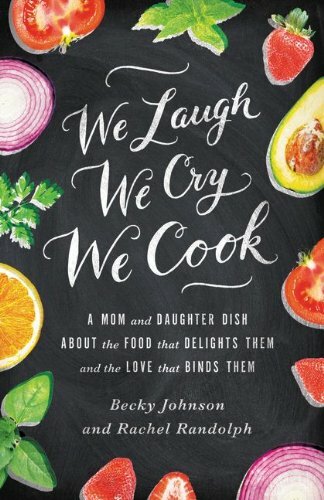 We Laugh, We Cry, We Cook: Happy Book Release Day! By 3:00 P.M. I was still in my PJs. My hair was uncombed. I looked homeless. I’d been up since early morning on the phone and computer, in Mom Mode, trying to help out in a family crisis. Then I’d switch to my Author/Blogger Role as I prepared for … (wooden spoon drum roll here) … today’s BIG RELEASE of … (insert cymbal sounds of two saucepan lids clapping together) … Our NEW BOOK: We Laugh, We Cry, We Cook. I found myself tipping back and forth between joy and worry. I was feeling fragile and disoriented. I could be easily blown, like a feather, toward tears or laughter, depending on the hour. Or minute. What did I do to help calm and steady my emotions? I put on an apron and whipped up the first recipe from our book, a rich Puttanesca sauce that my daughter Rachel (a vegan) and I tossed together one day, working like a pair of well-olive-oiled machines. Puttanesca is an Italian sauce flavored with rich briny goodies like capers, pepperoncini, olives, artichokes and sun-dried tomatoes. Instead of adding meat, I topped it, as Rachel does, with roasted chickpeas. The dish, as always, was divine, a feast of taste sensations; however, the kitchen where I prepared the deep red vegan marinara looked as though I’d just butchered a hog. (I’m a good, fast cook; but not a neat one. The neat one would be my daughter who is probably reading this now, her eye twitching just a little at the thought of the image I just described.) The act of preparing a meal, tasting and tweaking … centered and calmed me, as it often does. I looked over the day, half spent, and realized I’d laughed, I’d cried, I’d cooked. Story of my life. And Rachel’s life. And perhaps, your life, too. Please visit our Book Page to read more reviews, endorsements and samples of the book. There is nothing like word of mouth, or “word of internet” to get out good news. We would SO appreciate if you would tweet, facebook, pinterest, blog or send smoke signals sharing today’s post with others. We could not have done this without the love and support of our readers and friends. 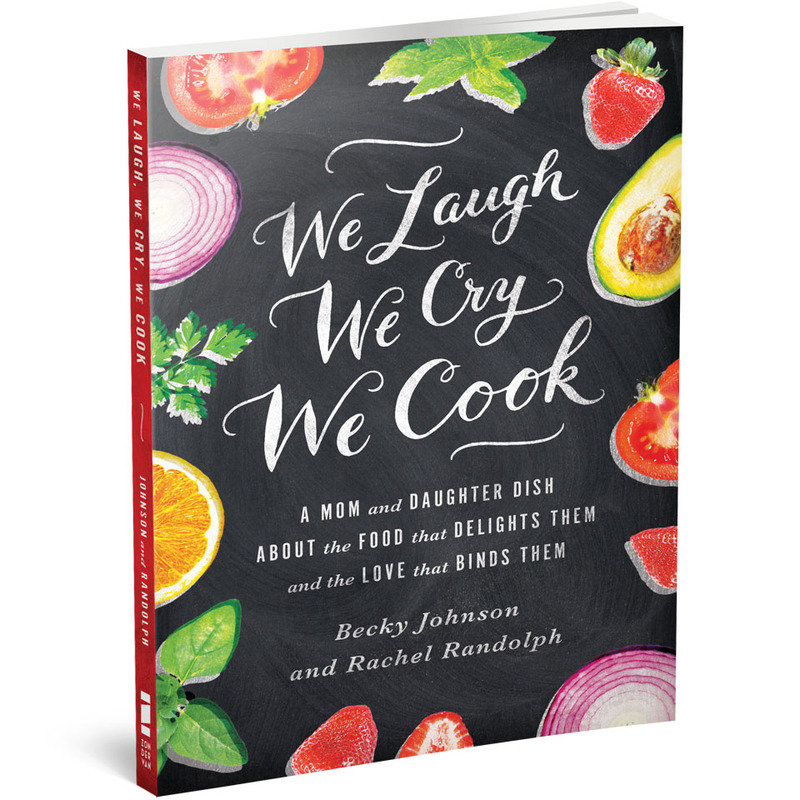 Exciting Announcement: “We Laugh, We Cry, We Cook” Will be a Book! We’ve been keeping a secret for about a month, but finally have the go-ahead to make the GRAND ANNOUNCEMENT!!! My daughter and co-author of this blog, Rachel Randolph, and I are deliriously happy to share that we have signed a two book contract with Zondervan Publishing! 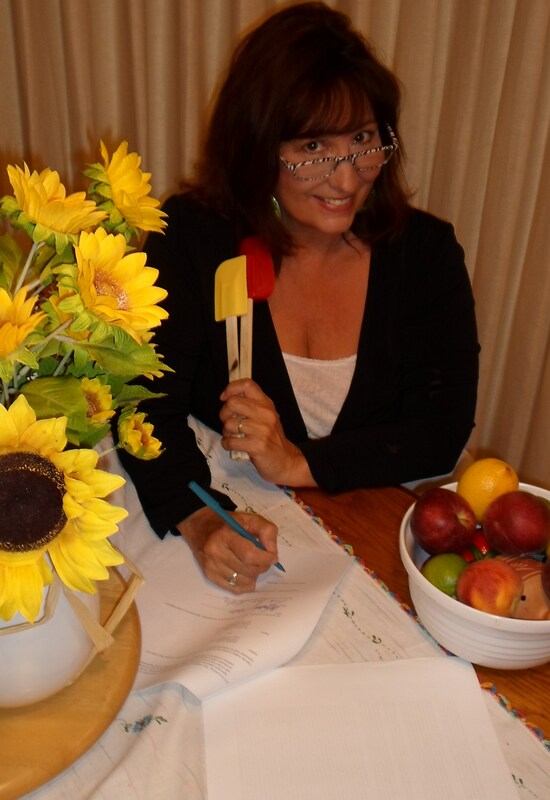 Becky, signing her part of the book contract for We Laugh, We Cry, We Cook with Zondervan Publishers. 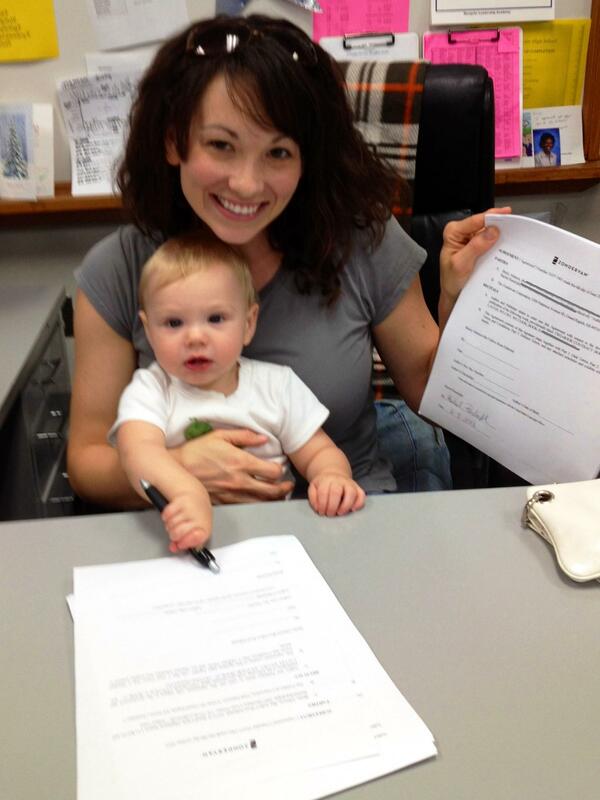 Baby Jackson helping his mother, Rachel, sign her part of her very first book contract. A two book deal! Woo hoo! 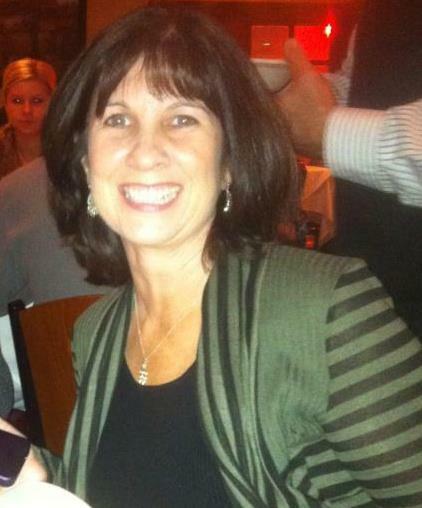 Our editor, Carolyn McCready, is a longtime friend and one of my favorite people on the planet. Not to mention one of the most talented editors and nicest people I know. Carolyn and I (Becky) worked together on many fun projects at Harvest House Publishers, where we grew from editor/author to close friends. Those were some of my happiest days in publishing, and we are delighted to find ourselves working together again. Carolyn McCready, longtime friend and editor for this project! The first book is slated to have the same title as this blog, We Laugh, We Cry, We Cook, and will debut in the fall of 2013. We’ll wait to announce the name of the second book as a future surprise. The literary agent for this project is none other than my husband, Greg Johnson, president of Wordserve Literary Agency. 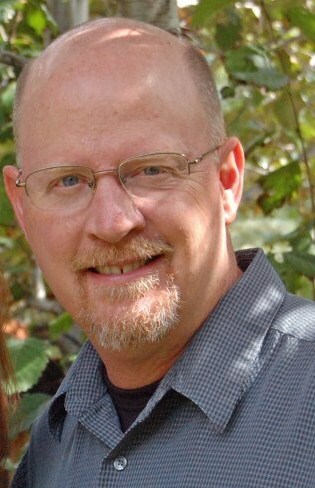 Greg Johnson, our literary agent, President of WordServe. The first book will be about our unique mother-daughter journey thus far, our mutual love of cooking, storytelling, and laughter, along with the challenges that our differing styles and personalities bring to the kitchen table. Rachel is a Type-A Vegan, and I am a Type-S (Scattered) Butter-Lovin’ Mama. This poses plenty of opportunities for humor, mutual understanding, acceptance and biting our tongues. 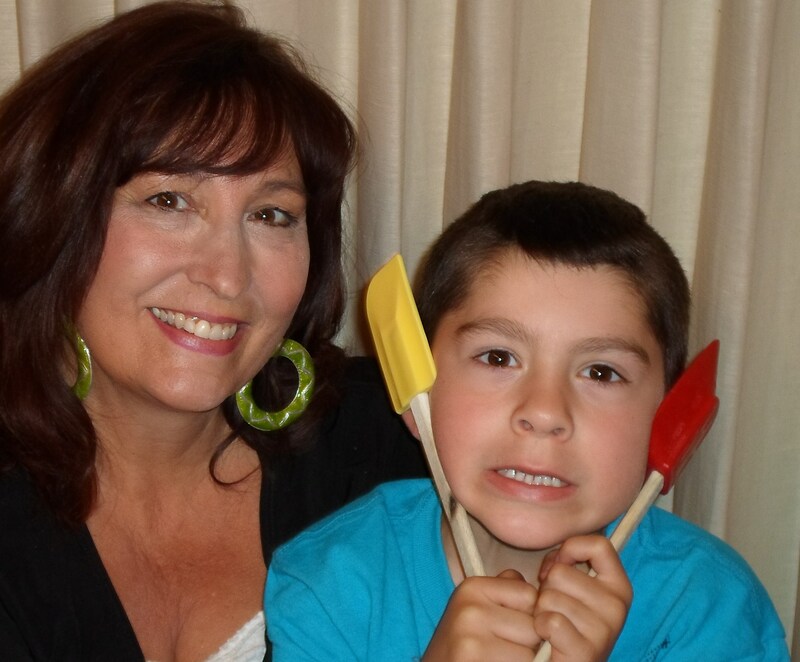 Yes, writing is a family business, and has always been, for me. I can’t believe it has almost been twenty years since I wrote my first book (Worms in My Tea & Other Mixed Blessings) with my mother, Ruthie Arnold. The first book I ever wrote, with my mother, Ruthie Arnold, almost twenty years ago now! My daughter Rachel was just a little girl with a curly pony tail when I began pounding the typewriter (my “office” was my bedroom closet), learning all I could glean from my mom, who was already published and a fabulous writing coach. I love this picture taken on my birthday last year of my mom laughing in the background at something I just said. She was not only my best coach, she was (and still is) my best audience! Becky with her mom Ruthie, laughing in the background. Ruthie taught Becky to laugh, to cook and to write! Little did I know that almost two decades later, I’d have more then forty books under my belt, and that my little girl would grow up into an amazing woman, wife and mother, a fabulously healthy cook, and a funny, poignant writer. Or that we’d have the incredible privilege of writing books together. 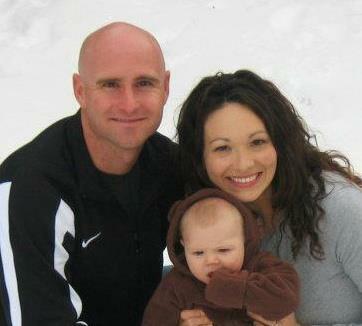 My little girl all grown up, married, a mother, and now… an author! Today is one of those days when I am completely overwhelmed with the goodness of God. I’m grateful for all the stories that bind my daughter and I together: the stories that brought us closer through laughter, and those where we cried tears over heartaches. And the everyday stories that unfold as we chat in our kitchens sharing our mutual passion for cooking good food for those we love. Thank you all, dear friends, for your encouragement in our journey thus far. To celebrate the signing of the contracts, we invite you to join our new Facebook Fan Page where we will keep you abreast of book news, blog postings, and some of our favorite quotes, funny quips, and foodie or health news. If you could help us spread the word of the blog and fan page, we’d be enormously grateful, as we work to build an audience for the new book.